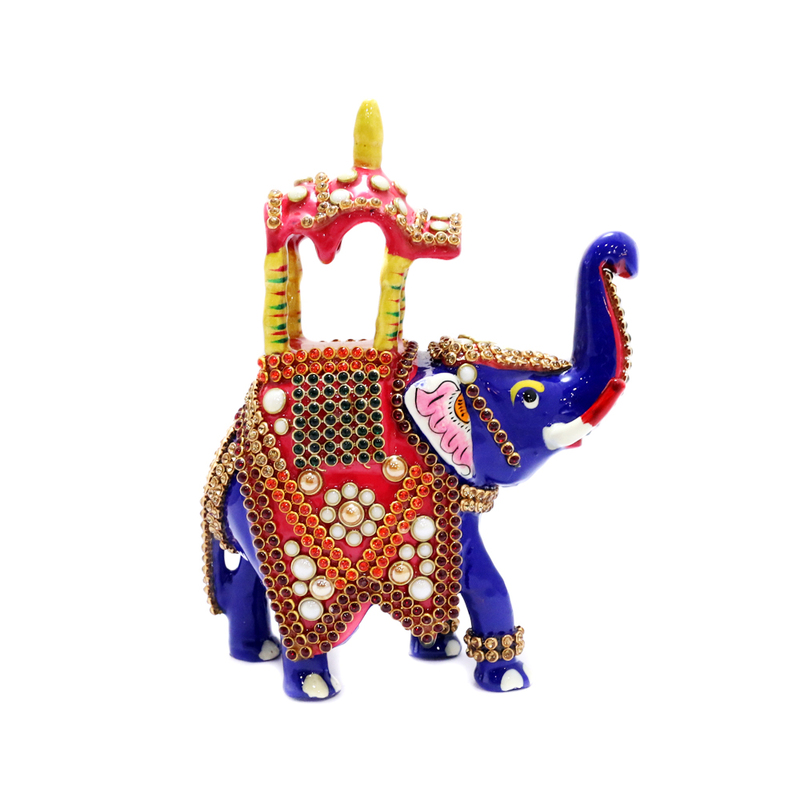 The elephant showpiece is a great way to decorate any space with elegance. 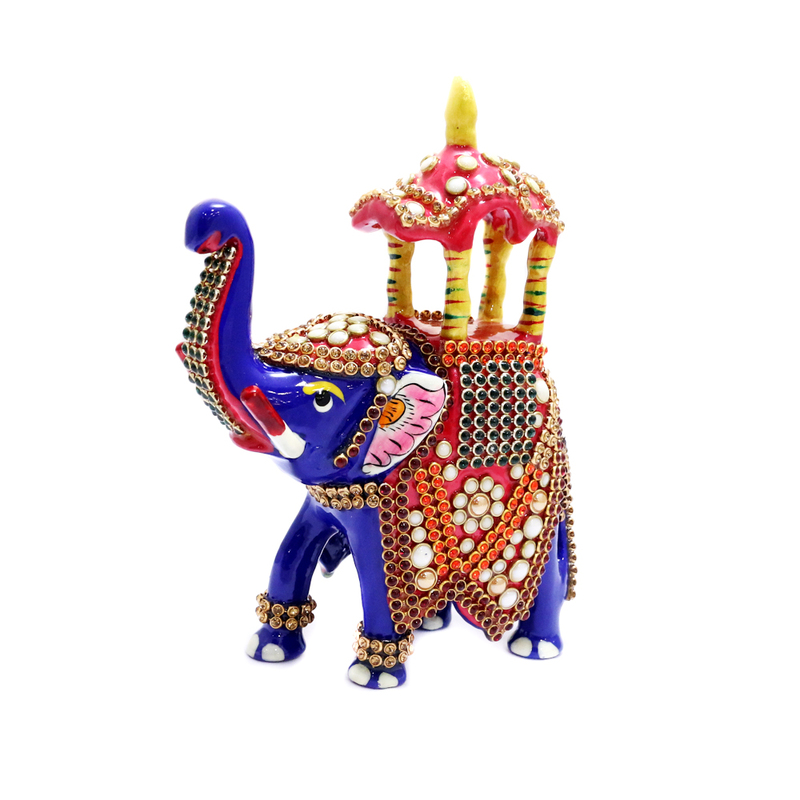 The elephant has a royal blue colour with extensive stone and meena Read More..designs all over. 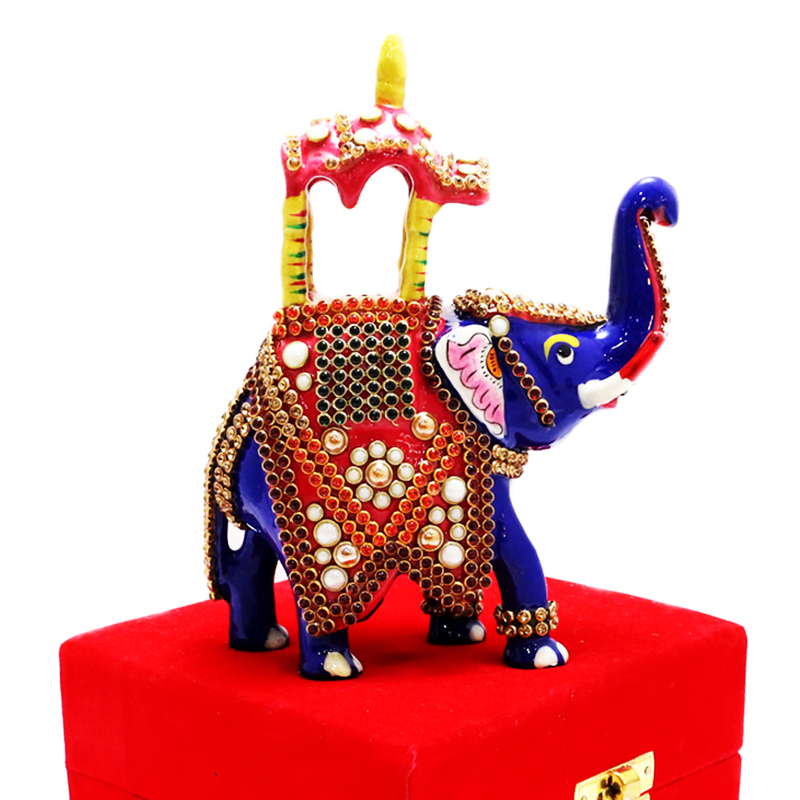 It also has a small temple look shelter adorning its back giving the piece a royal effect. Show Less..